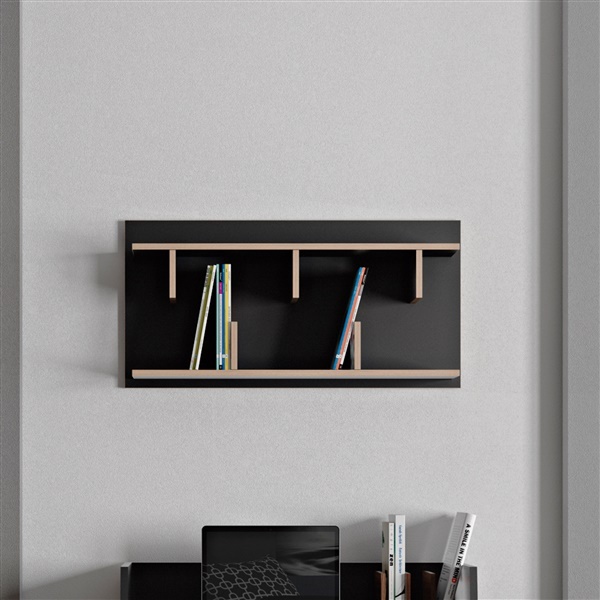 Bring some life to any wall in your home with the Bern 90 Wall Shelf. Beautifully constructed of finished chipboard, this functional piece is alluring all on its own, plus you can display some of your favorite photos and decorative accents. It boasts clean sleek lines and a fragmented geometry that highlights the nice contrast between the plywood edged shelves and the background. Offered in your choice of color to accommodate your taste, this shelf's compact dimensions make it suitable for any room in your contemporary home.